Get out and enjoy the summer days with your dog safe in the Step-in Cirque Dog Harness in Coral by RC Pet Products! Step-in style is perfect for nervous dogs. Your dog will look more fashionable than ever while staying secure and comfortable. 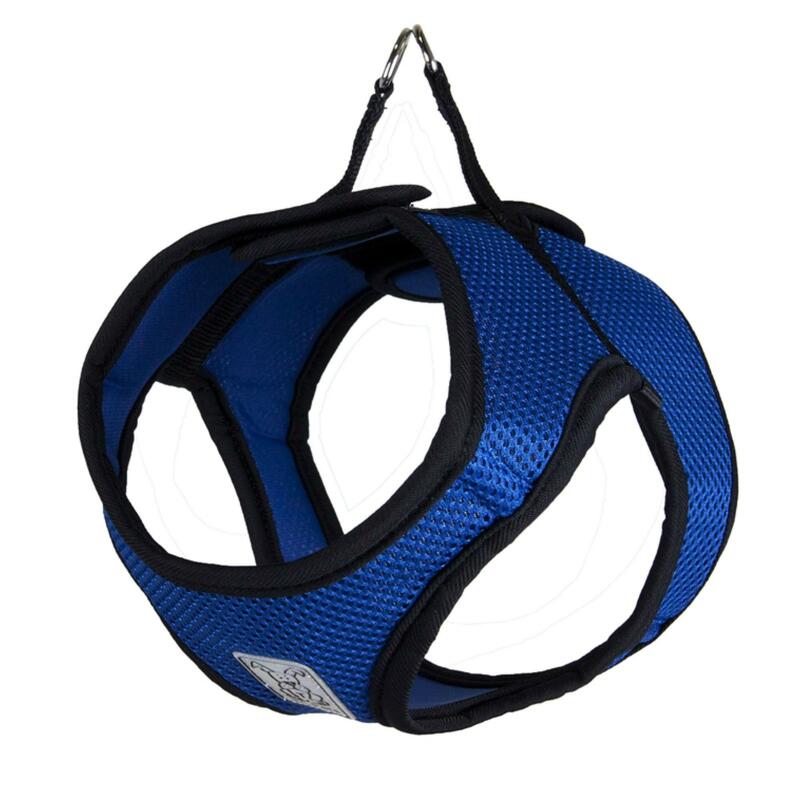 Perfect for nervous dogs, this harness doesn't go over their head. It's also great for people with reduced hand mobility since it secures with a hook & loop closure! Breathable air-mesh fabric is soft and comfy. Soft neckline eliminates pressure points. Made with a breathable air mesh fabric. Machine wash cold on delicate cycle. Do not wash with touch fastener items. Hang to dry. Do not iron, do not bleach, do not dry clean. If needed, pre-soak in an enzymatic cleaner like Nature's Miracle. Not only are the products adorable but the attention to detail and quality is beyond good. Pricing is exceptional. My little Barlow looks adorable in his and have received so many compliments. My babies and I love BaxterBoo.